The Château d’Armailhac vat room, entirely gravity-fed, contains 23 stainless steel vats. They are of different sizes to suit the different parcels of the vineyard. After picking, carried out entirely by hand, the bunches are sorted and the grapes are destemmed. To keep them intact and preserve all their aroma and flavour, the grapes are then taken to the vats in mobile hoppers. Once in the vat, the grape must starts to ferment. Fermentation lasts for several weeks, ending when the wine is run off and the pomace is pressed. The wine is then taken in barrels down to the Château d’Armailhac barrel hall. 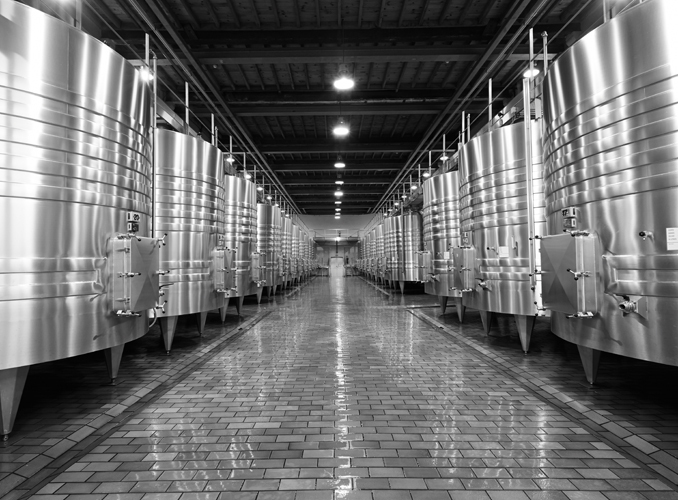 The Château d’Armailhac vat room, entirely gravity-fed, contains 23 stainless steel vats.